The Samsung Galaxy S9 has finally received the latest iteration of Android i.e. Android Pie. Android Pie was released a few months ago and some brands such as OnePlus and Google Pixel have received the OTA firmware update way earlier. Samsung on the other hand, as is always the case, a little slow with the update, recently we received Galaxy S9/S9+ Android Pie builds but they are not OTA updates. You will need to manually flash either the alpha build or the beta on your S9. As for the official OTA update, it seems like further wait is needed as we don’t have a definitive date for release. 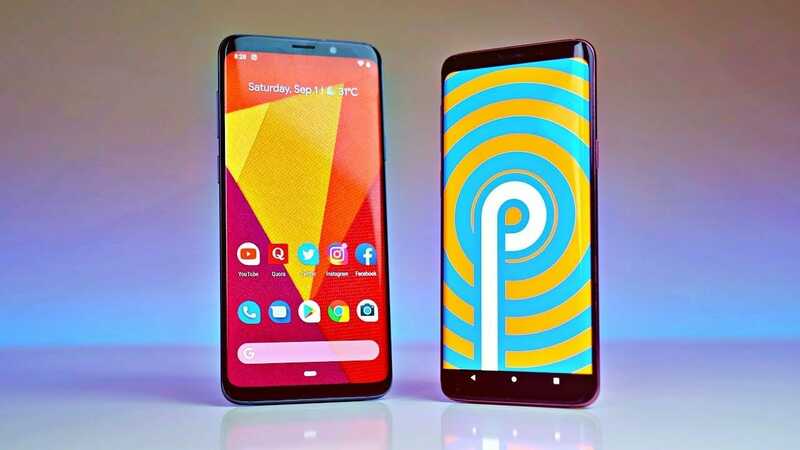 In this article, I will show you how you can Download Galaxy S9/S9+ Android Pie Official Alpha and Beta Build and Install them on your S9 smartphone. Before we proceed with the tutorial please read the following disclaimer carefully. Disclaimer: I will not be responsible for any data loss or any damage done to your device during the flashing of Android Pie on your S9. You can proceed at your own will if you think you can follow the instructions diligently.Read all instructions carefully. If you are new to flashing then don't proceed.These Android Pie builds are strictly for G960U AND G9650U models only. Important: You MUST be on Oreo ARG8 for the following builds. Important: You MUST be on ARI6 for the following builds. Important: MUST be on ARG8 for the following builds. Important: MUST be on ARI6 for the following builds. Step 1-Download the SUITABLE update file from above and transfer it the SD card on your phone. Note: If you find out that you are not on the required right Oreo build to install the listed updates above then download the firmware from an external source and use Odin tool to Flash it. Once on the required Oreo build you can follow this guide to install the desired Android Pie build. Step 3- Now turn off your phone. Once off, press and hold volume up + power button + Bixby button until you see a blue screen with a bug droid on it. Step 4- You are in recovery mode now. Using the volume keys, navigate to “Apply update from SD card”. Step 5- Press the power button when you are on “Apply update from SD card” to install. Wait for the installation process to finish and if you have done everything correctly then congrats as you have Android Pie installed on your phone now. Your phone will reboot upon completion.